The Fauri Memorial Conference is presented annually in recognition of former University of Michigan School of Social Work Dean and Vice President Fedele F. Fauri's accomplishment and leadership in child welfare. This year's conference presented the work of professors, practitioners and service providers. Keynote speaker Jay Fagan, PhD, (Co-Director, Fatherhood Research and Practice Network and Professor of Social Work at Temple University) highlighted the gradual increase in fatherhood research and practice that serves low-income populations in the United States. Despite the field's growth, Fagan noted that fatherhood research and practice are still in their infancy. Currently, there is little evidence that existing fatherhood programs work. Therefore, more rigorous evaluation research must take place to investigate program effectiveness and bolster the implementation of future fatherhood initiatives. To that end, the Fatherhood Research and Practice Network was established as a five-year initiative sponsored by the Office of Planning, Research, and Evaluation, Administration for Children and Families, U.S. Department of Health and Human Services. Fagan mentioned that the network seeks to promote rigorous evaluation of fatherhood programs, expand collaboration between researchers and practitioners, and disseminate information that leads to effective fatherhood practice and evaluation research. Highlighting extant research, Fagan also shared risk and protective factors associated with father involvement, emphasizing the need to reduce the number of risk factors, promote positive co-parenting and engage in early intervention. Fagan joined a panel of national service delivery models that included Cleopatra Howard Caldwell, PhD, (Professor of Health Behavior and Health Education and Director of the Center for Research on Ethnicity, Culture, and Health at the University of Michigan School of Public Health) and Bright Sarfo, PhD (Research Associate at MEF Associates). The panelists presented promising fatherhood programs and discussed culturally responsive strategies for engaging fathers in places where there is an overrepresentation of African American men. Highlighting her work at Flint, Michigan, Caldwell reported that African American nonresidential fathers are likely to engage with their children in alternative ways (e.g., nurture children through adolescence, co-parent with partner) than primarily provide financial support. Sarfo espoused this point through his work with the Center for Urban Families in Baltimore, Maryland; nonresidential African American fathers often wish to provide child support but often lack the economic means to do so. Despite alternative ways of engagement, according to Sarfo, lack of employment still remains the biggest barrier against nonresidential African American fathers' engagement with their children. In the afternoon, a panel of father engagement models in Southeastern Michigan discussed effective strategies for working with fathers in local communities. Panelists included Kevin J. Bryant (Community Relations Specialist, Black Family Development, Inc.), Murray Davis (Manager of Information Resources, Matrix Human Services), and Mike Kildee (Family Engagement Coordinator, Genesee Intermediate School District Head Start). They highlighted the importance of recruiting fathers where they are, carefully listening to identify fathers' needs, providing a community, and building a human services culture that is open to engaging fathers. The day ended with a roundtable discussion among participants who talked about key lessons, challenges, and new ideas for engaging fathers. Some comments from participants include, "Today, I learned direct ways of being culturally in tune to the problem. I was impressed with the techniques that incorporated real cultural pieces like words and symbols to engage fathers." "We face continued challenges tailoring services for families with different family structures," "There needs to be networking with other systems, including infant mental health, mothering, domestic violence, and substance abuse programs", and "I learned that the collaboration between research and practice is important to move the field of fatherhood forward." Robert Ortega, MSW '83, PhD '91, Shawna Lee, MSW '01, PhD '05, Joseph Ryan MSW '96, PhD, Richard Tolman, MSW '79, PhD, University of Michigan School of Social Work faculty and members of the conference planning committee, facilitated stimulating conversations throughout the day between the presenters and audience. 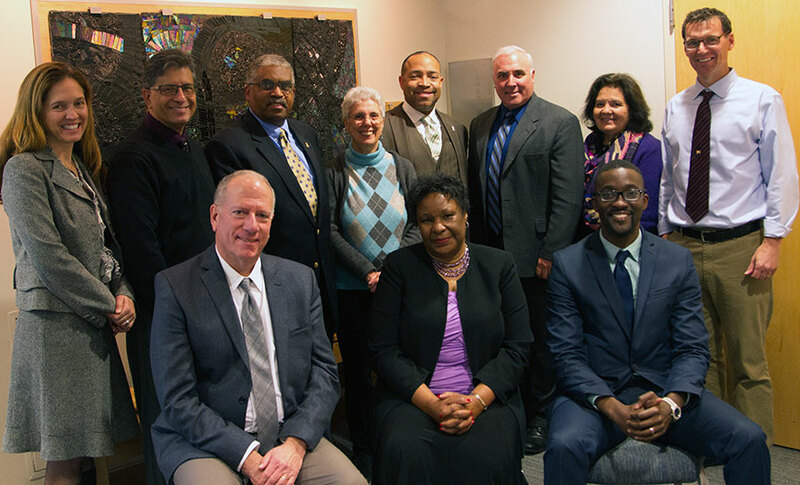 They paved the way for critical inquiry and multidisciplinary collaboration on the topic of promoting positive father engagement within the School's long-term commitment to child welfare.